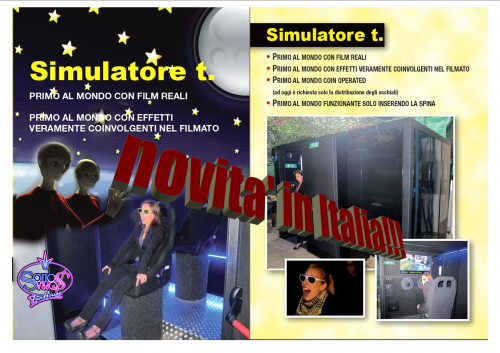 SIMULATORE 3D CON FILM REALI!! SFIDA I TUOI AMICI IN UN COMBATTIMENTO ALL'ULTIMO COLPO!! FAI LA TUA SQUADRA E COMBATTI PER LA VITTORIA!! FESTEGGIA IL TUO COMPLEANNO CON I TUOI AMICI NELLA NOSTRA AREA RISTORO. 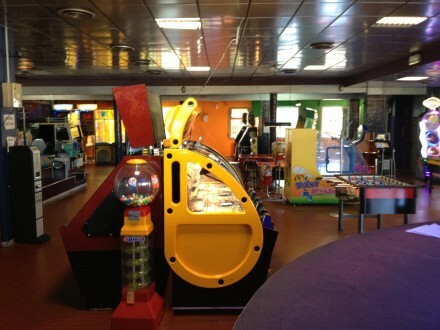 TROVERAI MENU PER OGNI ETA' E POTRAI GIOCARE A BOWLING, AL LASERGAME E CON TUTTI GLI ARCADE DELLA SALA! 500 MQ DI GIOCHI ARCADE, SIMULATORI, DANCE FLOOR, GIOCHI A PREMIO, PING PONG E CALCIOBALILLA.